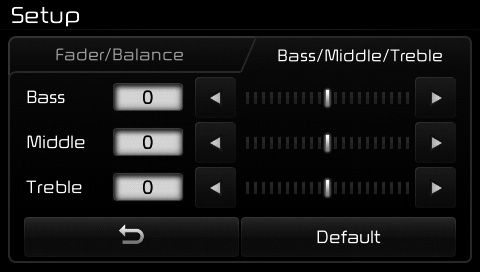 Use the , , , buttons to adjust the Fader/Balance settings. 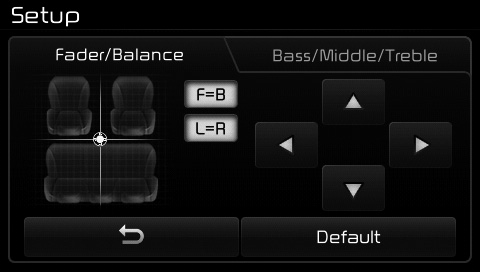 Use the , buttons to adjust the Bass/Middle/Treble settings. Press the button to reset. The volume level is controlled automatically according to the vehicle speed. 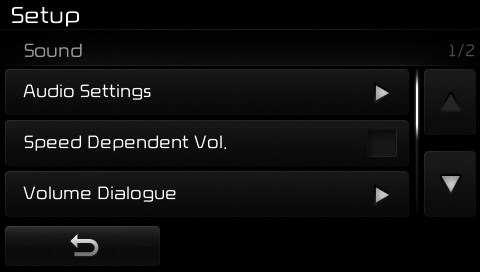 SDVC can be set by selecting from On/Off. 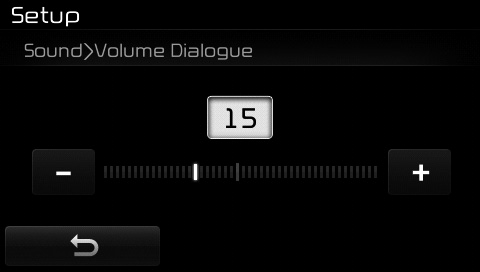 Use the , buttons to adjust the Volume Dialog. 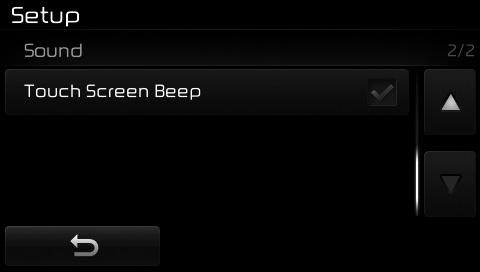 This feature is used to turn the touch screen beep on/off.